Sometimes, figuring out a new tool is merely another stressor. But every so often, practical, simple, and timesaving tools come along. These platforms and apps make my life easier. Like many teachers, I’ve spent entire weekends trying to navigate the upcoming week. It’s frustrating. It’s exhausting. It’s not even Monday, yet. Planbook helps streamline my lesson planning. There is some set-up, but once you’re up and running, you’ll notice the difference. The creators added state and national standards into the software. You can easily find the standards you are teaching and attach them to your lesson. You can also upload attachments and images. 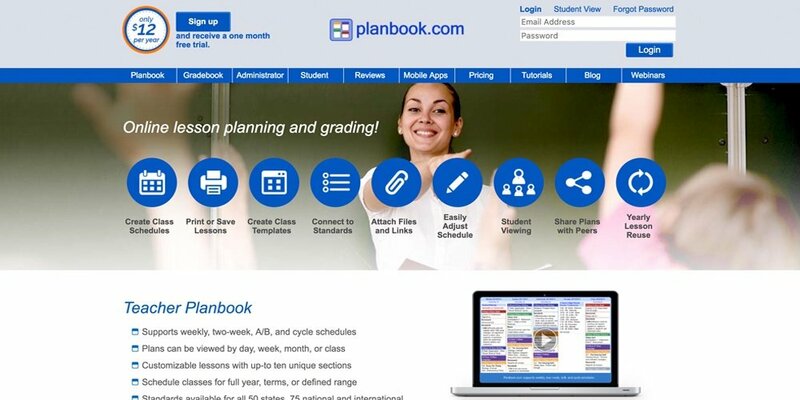 For $12 a year, you can view all of your plans online at planbook.com, or download the iOS or Android app to see your lessons on any device. The platform stores and saves your lessons, so you won’t have to reinvent the wheel the next year. You can download a PDF of your plans to print a hard copy. The word “game” for students is synonymous with the word “technology.” Play equates to Ipads and desktops. Kahoot! is a fun, easy-to-use platform that helps you create learning experiences students will want to dive into again and again. 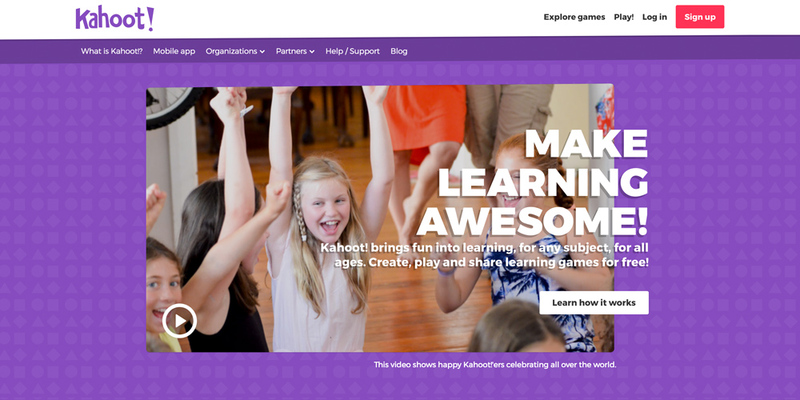 “Kahoots,” as the site’s creators call them, are made up of multiple-choice questions. There is also a quiz mode on the platform called Jumble. In this version, players must place answers in the correct order rather than select a single answer. Each student can participate in a kahoot with his or her device, or you group players into teams. Either way, the student discourse created is invaluable. Kahoot! also helps assess understanding. Students can also create and share games to further their learning and take charge of their knowledge. The Kahoot! app allows teachers to create games and share links for extra practice or homework. There are a ton of ready-to-go quizzes online. Try them. At the very least, they’ll help you survive indoor recess on a rainy day. Newsletters built with PowerPoint only go so far. Smore is simple, efficient and clean. What sets Smore apart is its mobility. You can easily share your flyers on social media platforms, through text or email, or send a printed copy home. Smore’s flyers look great. They have a high-quality look on mobile devices. Building a flyer is painless. You drag and drop the elements you want onto your page. Add titles, videos, embed links, event details, picture galleries, and then move them around until you’re satisfied. Smore’s free version is limited. After your first view, you’ll have four weeks until you are prompted to upgrade. If you’re a grade-level leader, administrator, or someone who creates a lot of newsletters, then the $79-a-year price tag may be worth your money. 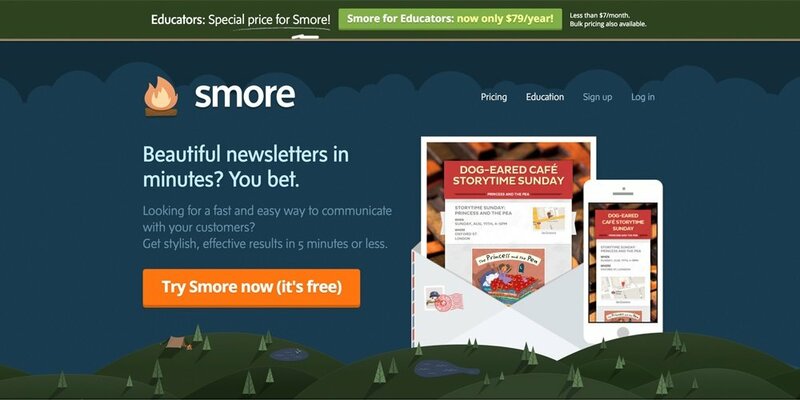 I use smore.com to create a weekly class newsletter. On Monday, I send parents a link to my newsletter so they know what’s happening in our classroom. Detailed statistics let you see your flyer's performance. I send my newsletter link through the Remind app, my preferred method of parent communication. 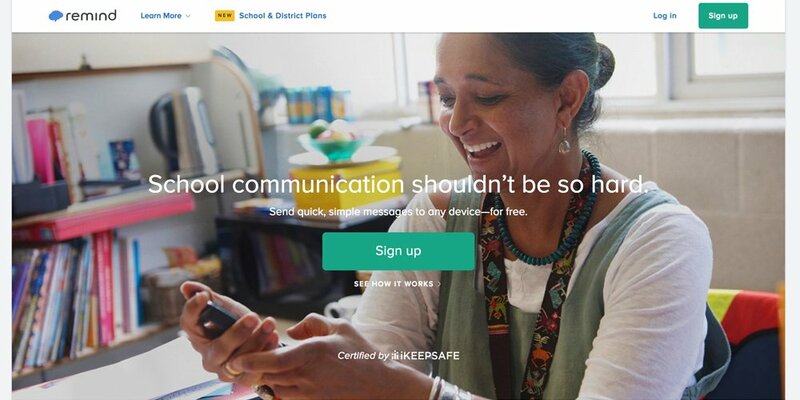 Remind makes it easy to send messages to each parent through its announcement feature. You can also communicate in real-time. So if you receive a “George is a bus rider today,” message five minutes before dismissal, Remind is a Godsend. The app also sends you text notifications. Like a tweet, Remind is limited to 140-characters. But in that small window, you can translate any message into more than 70 languages. Both you and parents can react to a text with a small selection of emojis—like a thumbs up or smiley face—for even quicker responses. You can also set office hours so parents can see your availability. Researching at any level can be stressful. Taxing for teachers and for students. When scanning the Internet, students ask, “Where do I go?” and teachers worry—“Where are they going?” We monitor as best we can, but it can be tough. Cue LiveBinders. 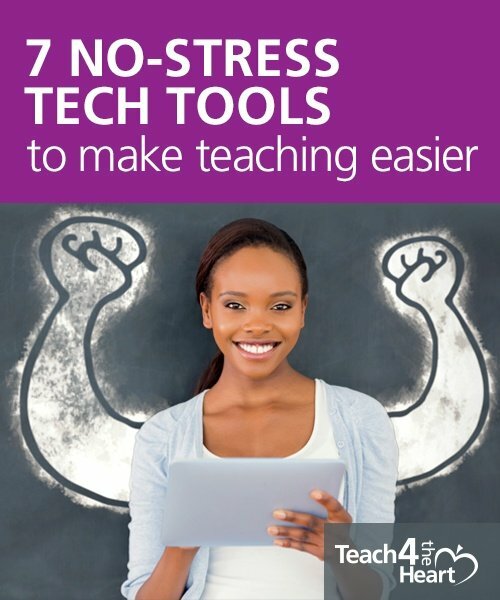 It’s a platform that allows teachers to compile a variety of online resources in one place. You can archive online math exercises, include flip learning video material and integrate PowerPoint, Prezi, and SlideShare presentations. 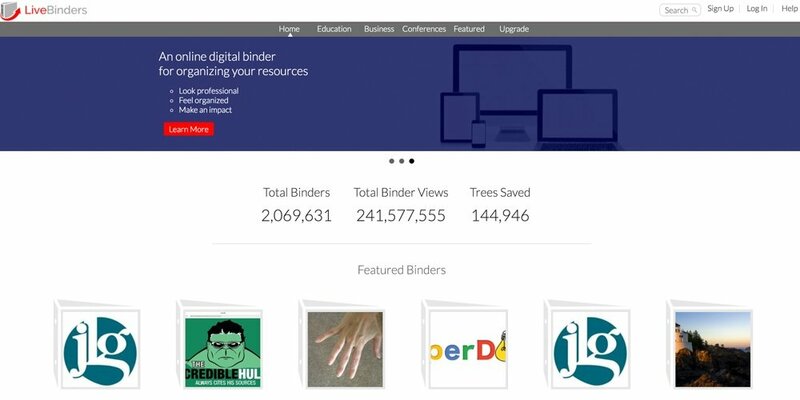 LiveBinders can also serve as ePortfolios. Students can share their work with parents and reflect on the progress they’ve made. Make a substitute's life more comfortable by sending a link to resources through the platform. 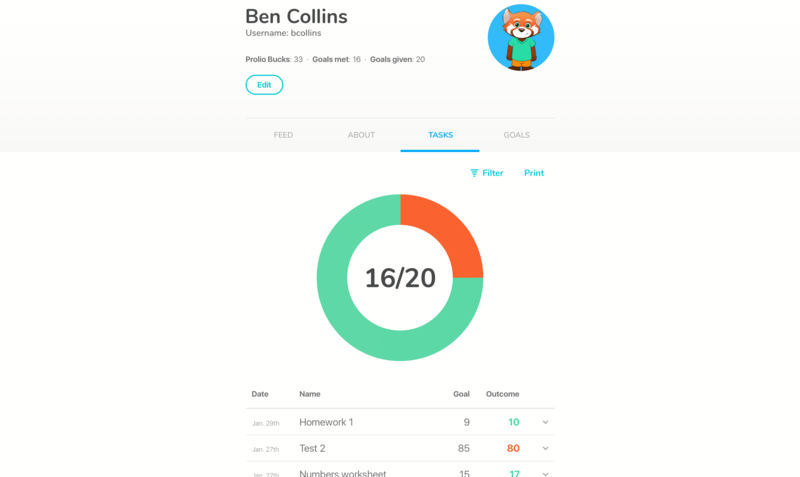 Prolio is a goal-setting platform that helps you inspire your students to reach their full potential. You can set goals for your class and personalize them for each student. Students earn Prolio Bucks that they can redeem for in-class rewards or use to personalize their avatar. It makes it easy to differentiate goals for each student so that we can inspire reluctant learners and challenge our brightest stars, all at the same time. Guided reading can be extensive. With so much to do in so little time, it often sends a teacher's blood pressure skyward. GRo simplifies guided reading. 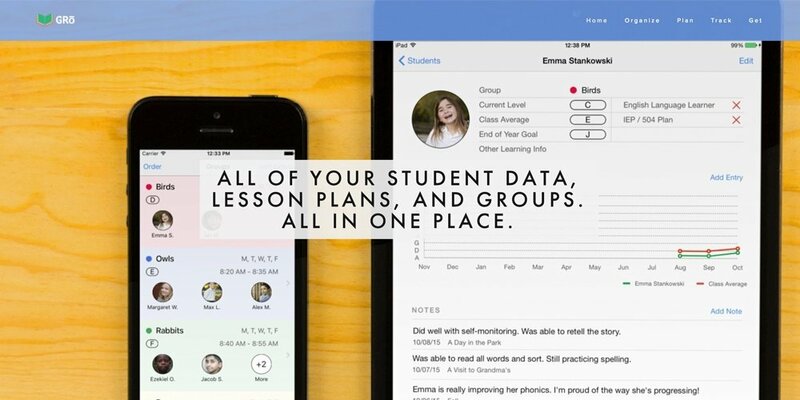 The app allows you to organize your reading groups, plan tailored lessons for your interventions, and keep track of your students’ progress in one place. I began using GRo this year, so I haven’t seen it run its course. It is helping me stay on top of my guided reading groups, though. I’m not drowning in papers. The app costs $9.99 and is only available on iPhone and iPad. So, it’s limited in that regard. GRo is an app worth researching if you have those devices. Tracking student data is simple. A line graph is automatically created for each student to show his or her month-to-month, reading-level progression. You’ll impress parents, interventionists, and administrators with your fancy visuals. All of these tools help make me a more effective teacher. Find what works. Unplug the rest. Tyler Agnew is a fourth-grade teacher in Killeen, Texas. He enjoys writing, reading, and freestyle rapping, which he does to review content for his students. Follow him on social media @agnewsie. “There is no extra charge for using Sideline” — WRONG. They have one of those 7-day free trials, but according to reviewers, the charge *PER MONTH* is $9.99 ( = annual of $120, just to have an additional line!?). You need to update your info and/or your recommendation.